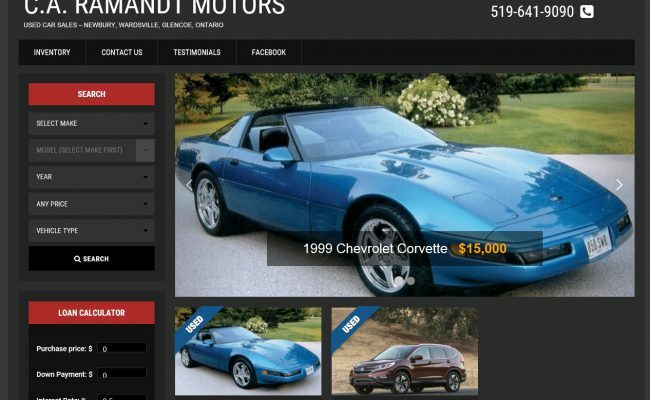 This used car dealer wanted an easy way to showcase their inventory. 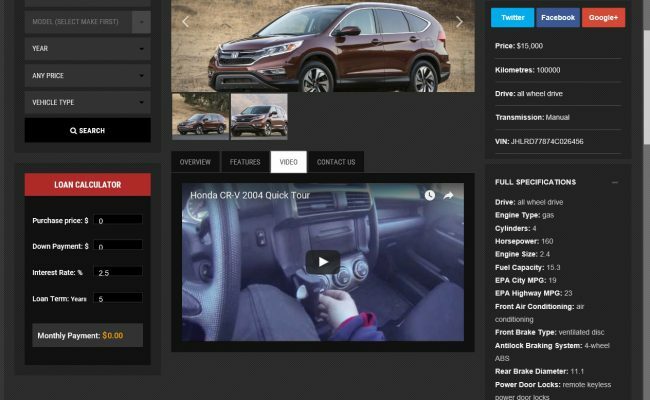 I used a wordpress theme with support for Edmunds vehicle information built in. 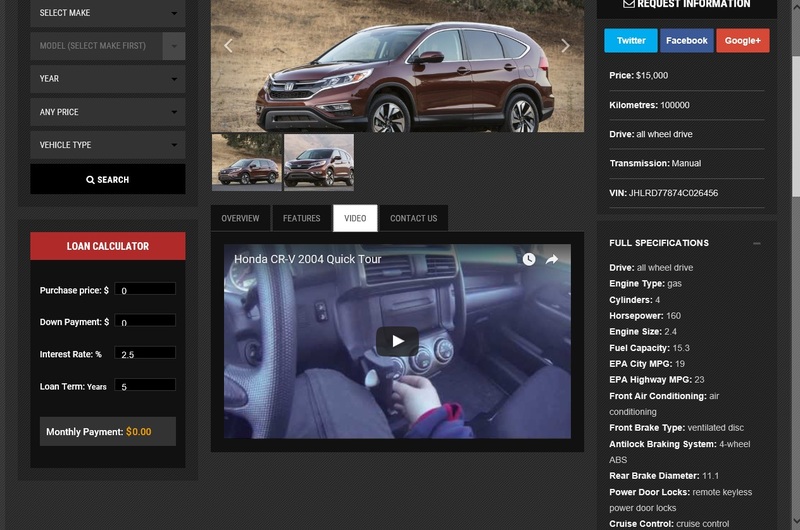 All the client had to do was enter the VIN number of the vehicle and it would populate their site with all sorts of info about that specific vehicle, from the horsepower of the engine to the interior leg room dimensions, and every option the vehicle came with. Very easy and quick for the client to maintain.